Winter gear is big and bulky, and New York apartments are tiny! However, there are plenty of ways to keep your stuff from taking over your home. 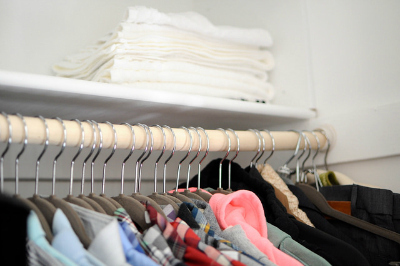 Use these clothing storage solutions to keep everything neatly organized. Winter gear — boots, scarves, and that ubiquitous black puffer coat — is big and bulky, and New York apartments are tiny! However, there are ways to keep your stuff from overtaking your home. Use these clothing storage solutions to keep everything neatly organized. Start by making the most of the closet space you already have. Create extra space by clearing out warm-weather clothes and shoes. Get rid of anything you didn’t wear last summer and store the rest in plastic bins under your bed or in a storage locker. If your closet is tall enough, hang another clothing bar under the existing one. You’ll double your closet space instantly. 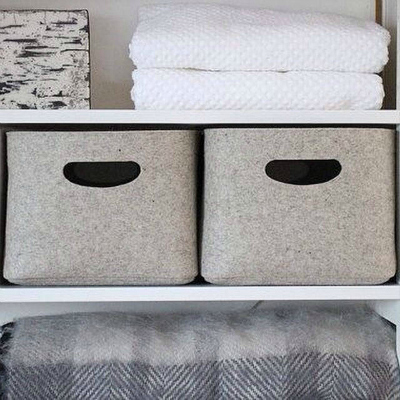 Dedicate some this new found space to your winter gear. Add hooks on the backs of closet doors, too. They’re perfect for holding scarves, hats, and umbrellas. Hats, scarves, mittens, and gloves have a way of multiplying and spreading through your apartment. Bins and baskets are ideal for containing accessories neatly. If you have multiple family members, assign everyone their own basket. Train them to put away their hats and mitts as soon as they arrive home. You can even create personalized labels to make using the system more fun. 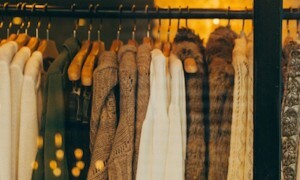 Store winter gear that doesn’t get worn as often on the higher shelves in your closet. Bins will keep these items organized and easy to access when you need it. Winter shoes pile up quickly and can easily track in gritty, salty slush. 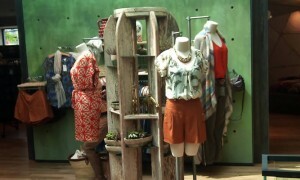 The best way to combat that is to create a dedicated space to store pairs that get worn frequently. Here are some shoe storage ideas to try. Invest in an inexpensive wooden shoe rack and place it just inside your door. It won’t take up a lot of space, and it will keep your shoes and boots organized and off the floor. This will allow air to circulate around wet shoes, too. Another way to protect your floors from wet shoes is with a simple baking tray. Fill it with decorative river stones (you can find them at your local craft store) and place your shoes on top. Don’t forget to wipe your shoes down and remove any salt as soon as you arrive home. Your shoes will look better and last longer. Whether you got caught in flurries of wet snow or overheated in the subway, you’ll inevitably get a little soggy this winter. Keep your gear fresh with appropriate clothing storage solutions. If possible, create open storage either inside your apartment or just outside the door. 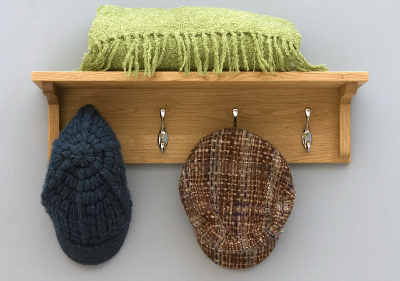 Place a small coat rack in your entry; for tighter spaces, attach hooks to your walls. Hang up coats, scarves, umbrellas, and anything else that’s damp or wet as soon as you arrive home. The open storage will allow air to circulate, drying out your clothes and helping you to avoid strange smells. Keep these clothing storage solutions in mind, and your NYC apartment will stay neet and organized this winter! Brownstone Apartments NYC: What's It Like Living in Them?